Future of Commercial Drones – It includes Commercial Drones Application in 2018: The sound of Rotors, The music of propellers cutting the air sounds to be melodies for the Drone Lovers. Drone or we say the “Future Technology“, is very trending nowadays. Be it Market or Google in 2016, for the technology purpose UAV Drones are the driven factors. It is for sure that in the year 2018, commercial Drones are going to boom the market. There are many cool uses for commercial drones in almost every field and sectors.If we look towards the uses than drone application list includes Commercial, Agriculture, Defense, Videography/Photography and many others. In the coming advanced world, there are many civilian drone uses among which the below six are the trending uses of drone. If we look over to the most frequent uses of drone then it is Aerial Videography and Aerial Photography. Industries are expecting greater fidelity i.e. better video resolution and image quality. As people mostly have 4K LED TVs, Tablets, Smartphones, DSLR etc, so that expectation is from drones also in coming time. Fidelity is not only for commercial drones but also for the consumer drones. Companies like DJI provides 4K recording cameras and HD video incorporated in their drones. In coming the year 2018, drone prices will start decreasing with the great and better fidelity. These sensors on embedding into the drone will make them capable of detection of collision and to avoid them, Infrared thermography and Night Monitoring. Before this you must read about the introduction of Drones and UAV’s. The major use of Drone in future will be in Agriculture Field. Drones will be used to monitor the crops and attain improved crop vigor analysis. Many companies are working on Agriculture Drones. Companies like Qualcomm, Intel are producing better image processing techniques to achieve all this. Agriculture is one of the enormous areas of opportunity for the drone UAV technology. The drone can be very useful for Farmers in monitoring and save crops from getting damaged. This technology makes farmers aware of the early damage of crops. 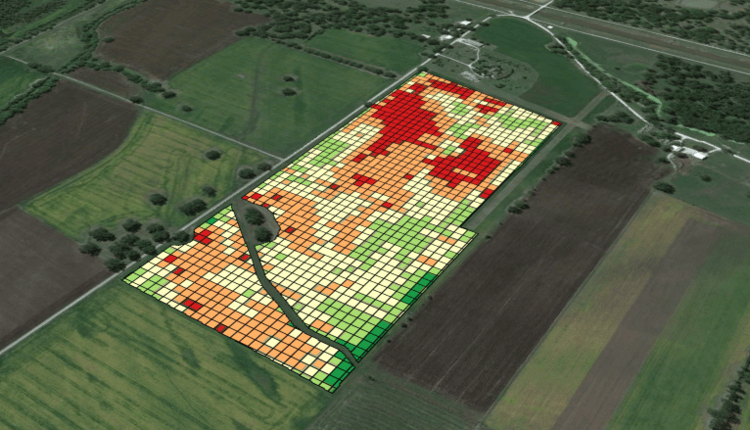 Drones can follow the map and can study the farmlands and ease the way of irrigation. So UAV can make farmers save money and use fewer resources for growing their crops. Agriculture will be the most important and crucial Commercial Drones 2018 Application. Farmers can also spray fertilizers, pesticides on the crops using drones. So it just makes the time-consuming task to quick one and getting more focussed on how to save crops. Virtual reality is found to be the most trending technology in this year 2016. We have seen much application of virtual reality like 360-degree videos. The 360-degree video has been found to be equipped with both consumer and commercial drones. Now the whole investment is done for the Augmented Reality. Augmented Reality is going to be the most focused Commercial Drones Applications in the year 2018. Every journalist from small to large media channel can use the drone to have the live coverage and photographs from all angles. Since Facebook has purchased the solar-drone company (Titan Aerospace), the internet access has been one of the media attention. Facebook CEO tested Aquila drone to provide internet access in every part of the world. Drone being small in size have many advantages over helicopters. These small sized UAVs are used for the security purpose by monitoring at day and night. Due to its small and compact size, Drones can move in tight and conjusted place and can find out the victims affected during any disasters. There is another non-commercial use of drone today such as the military uses of drones, use of a drone for construction, delivery etc. Hope you liked the above article about 6 Commercial Drones 2018 Application. If you liked the above-given article do share us on social networking like Facebook, Google, Twitter and others.